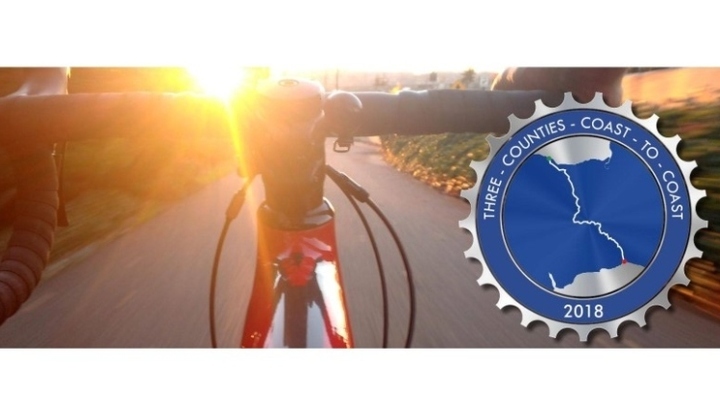 On Sunday the 9th September 2018, Bill and Daphne Morris will take part in the Three Counties Coast 2 Coast bike ride. Bill and Daphne will be riding in aid of St. Margaret's Hospice and Bike 4 Cancer! Bill and Daphne have chosen to cycle the full 75 miles starting in Minehead and then they will finish on Charmouth beach in this very scenic point-to-point cycling event. Please sponsor Bill and Daphne and leave your words of encouragement below. Donation Form : Bill and Daphne will be cycling through Three Counties in One Day! Just keep looking for a horizon, even if you have had it! Good luck! What a wonderful undertaking - don't forget to stop and enjoy the countryside! Good luck - hope the weather is kind! Well done Bill & Daphne - a very worthy cause ! Noble Effort. Let's hope they are right about never forgetting how to ride a bike! Having visited daughters in the Alps last week I would thouroughly recommend an EBike! Good luck - and well done. Very best of luck. Well padded seats are a good idea. Well done both of you. I wish I had your energy. Good luck with the cycle ride. Best wishes. Nigel. Well done for taking this on - good luck! Much more difficult than the Tarka Trail! Don't get too sore, exhausted, hungry, thirsty or scratchy, just pedal and store enough energy for the post pedal celebration ! easier than the Ngong Hills. Go well! Great effort, I admire your energy! Dear Bill and Daphne, We admire you for taking on such a physically demanding challenge and wish you well! Hope lots of dosh is raised! Love Ian & Fionee. Well done you intrepid people. Simply wonderful intention. Knowing how gritty you both are, we have no doubt that you will complete the distance. Good luck. If all else fails sheer bloody-mindedness will get you up those hills! Have a wonderful time.